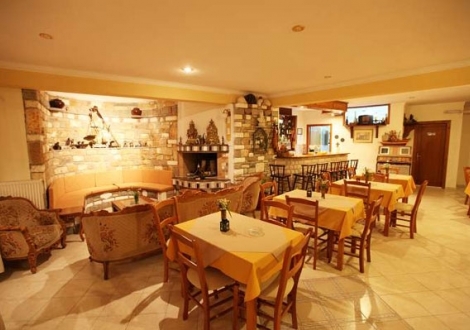 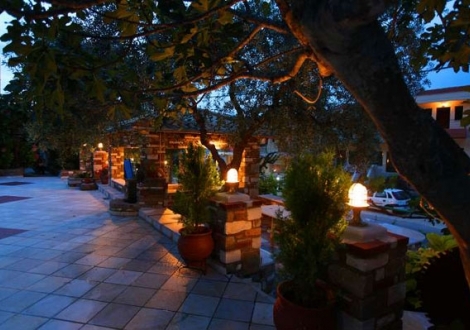 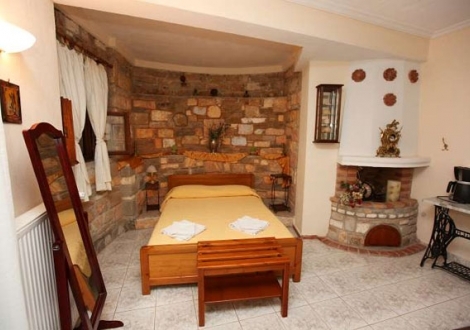 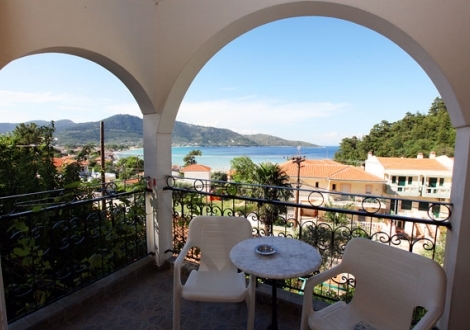 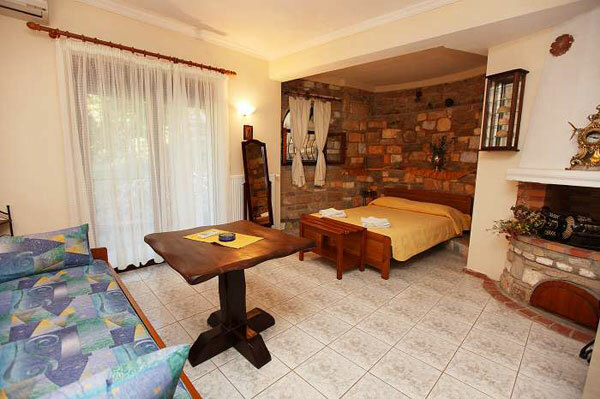 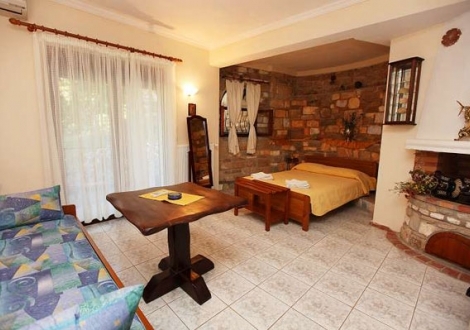 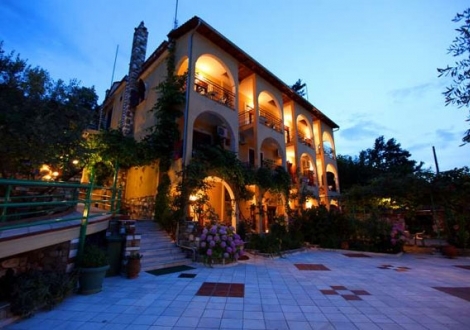 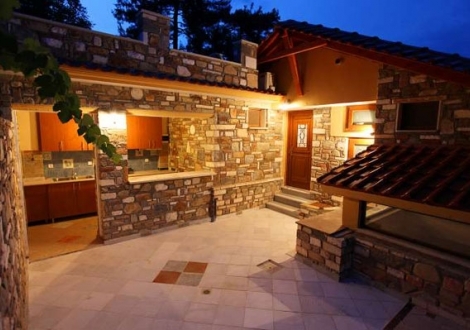 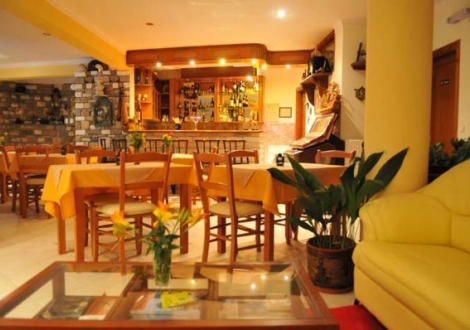 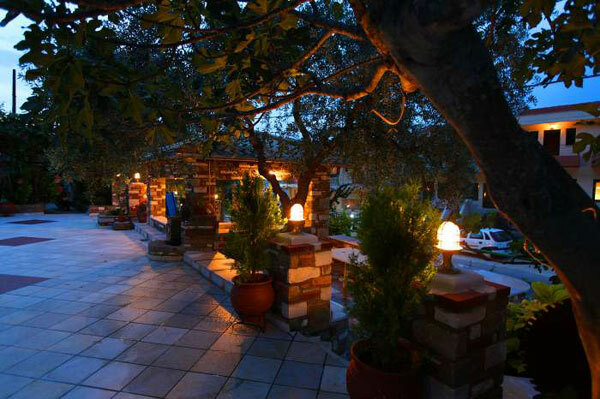 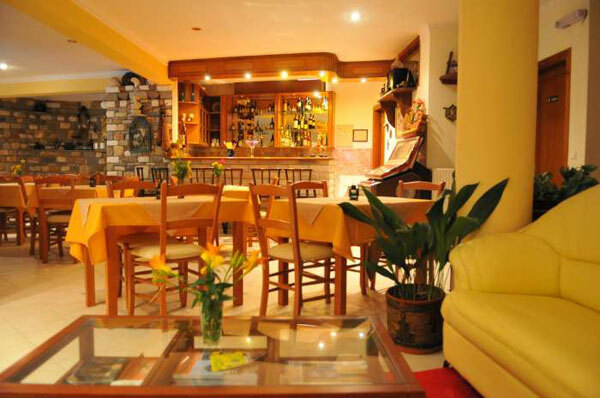 Hotel Pontios has a wonderful living room with a bar and a fireplace, where stone is combined with wood. 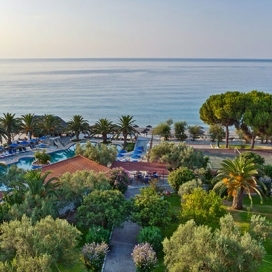 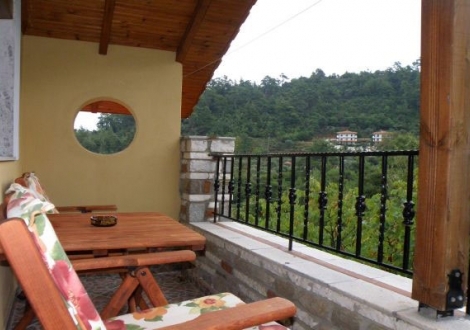 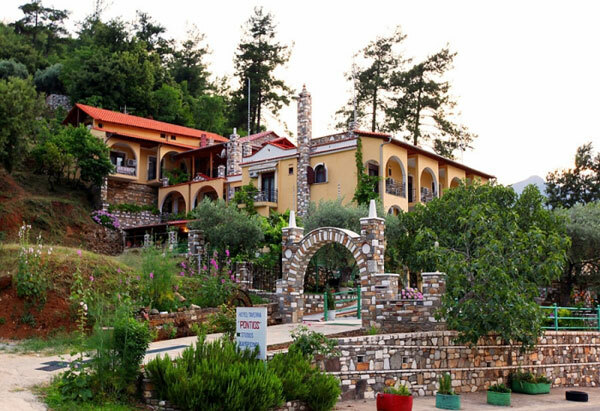 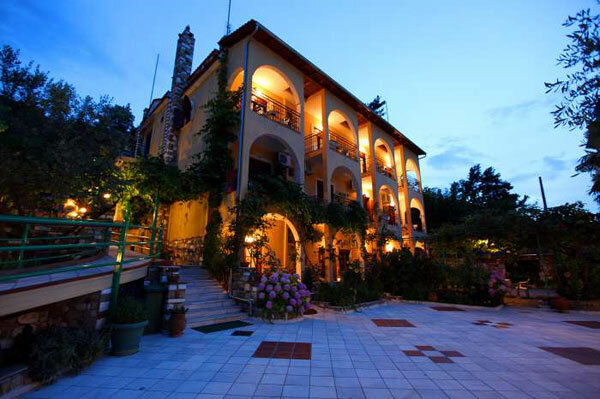 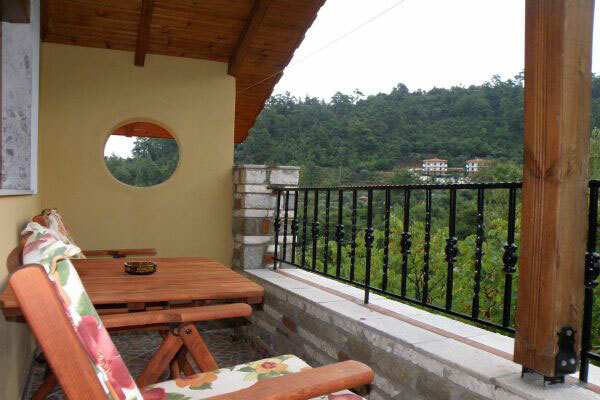 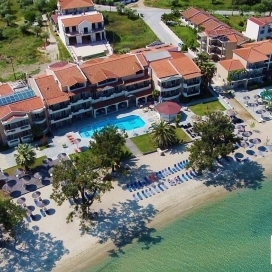 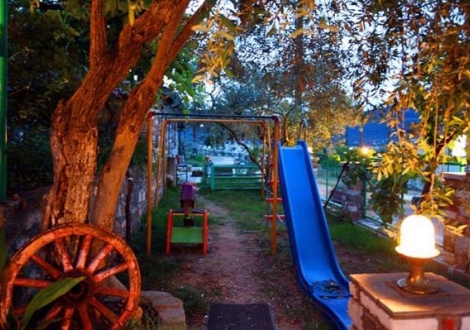 It is surrounded by a flower garden with a playground and relaxing areas for you and your family. 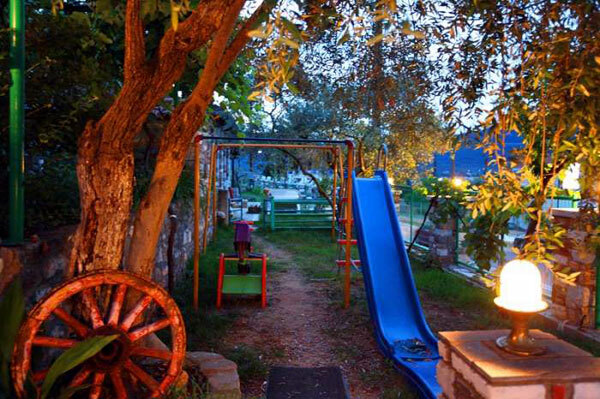 The traditional yard with trees, kiosks and flowers, hosts several pets and animals that will bring you closer to nature. 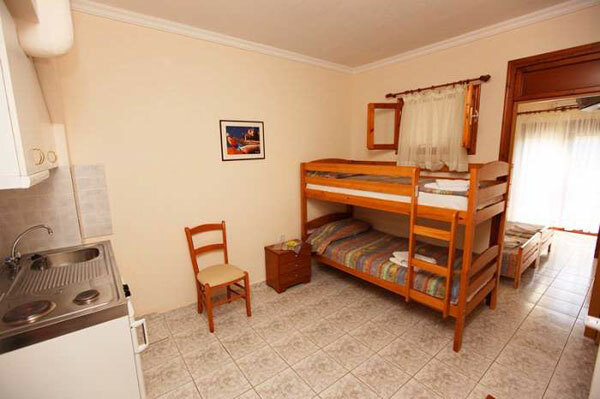 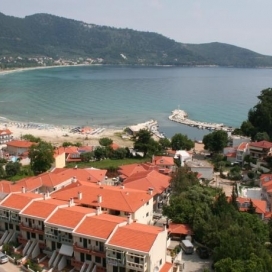 There are double-bed rooms and apartments with two separate spaces, having air-condition, TV, fridge and safe. 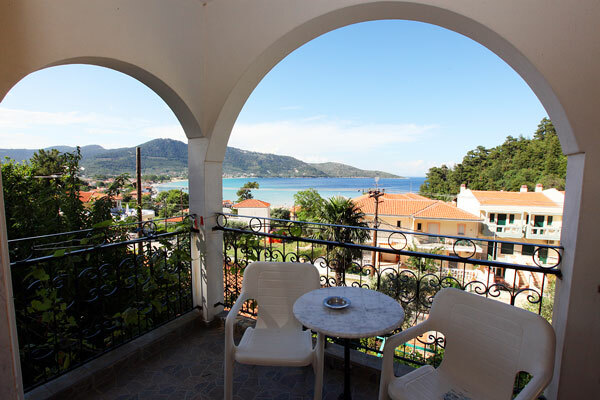 Each has its own balcony with panoramic view towards the sea, so that you can enjoy a peaceful view of the sea's blue and the Aegean sunsets. 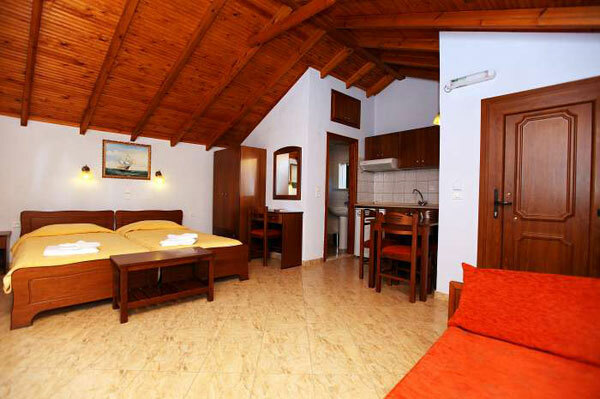 Bunk bed apartments, Standard apartments and Sea view suites are double spaced. Bunk bed apartments and Sea view suites are equipped with a kitchen, while Standard apartments and have no kitchen and can accommodate 4 persons. 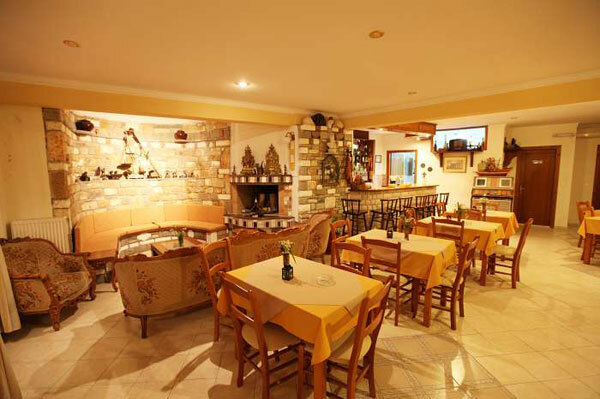 In the complex's area you will find the bar, where refreshing drinks are being served. 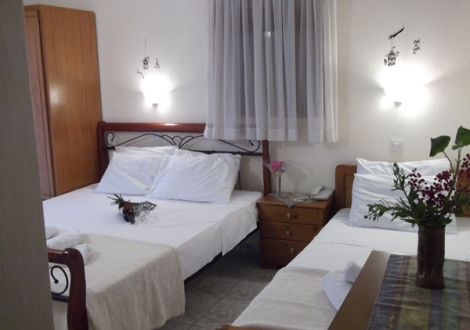 Remark: the hotel has several corridors and staircases and for this reason it is not suited for old people.